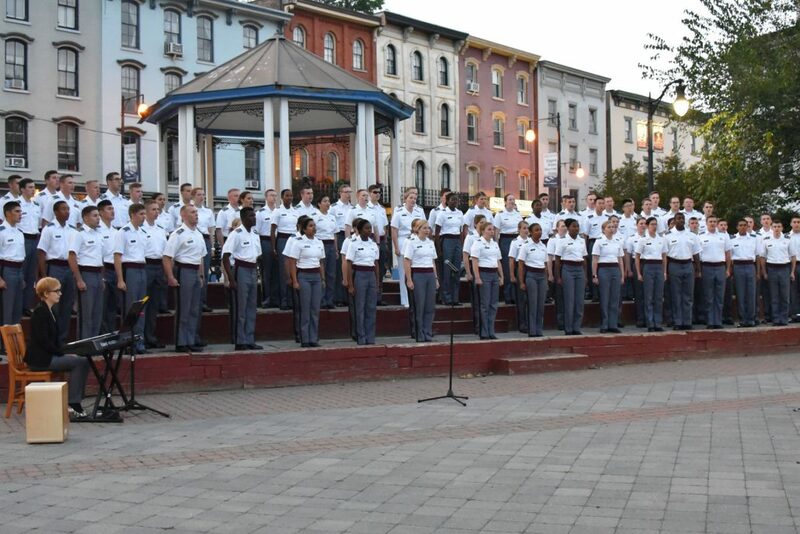 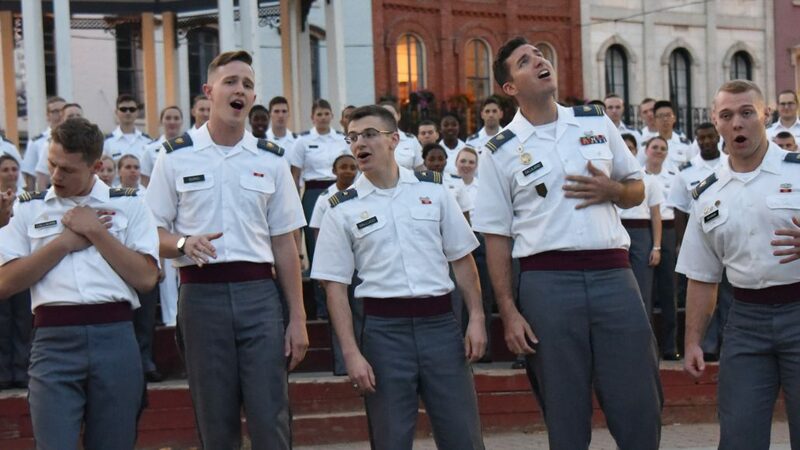 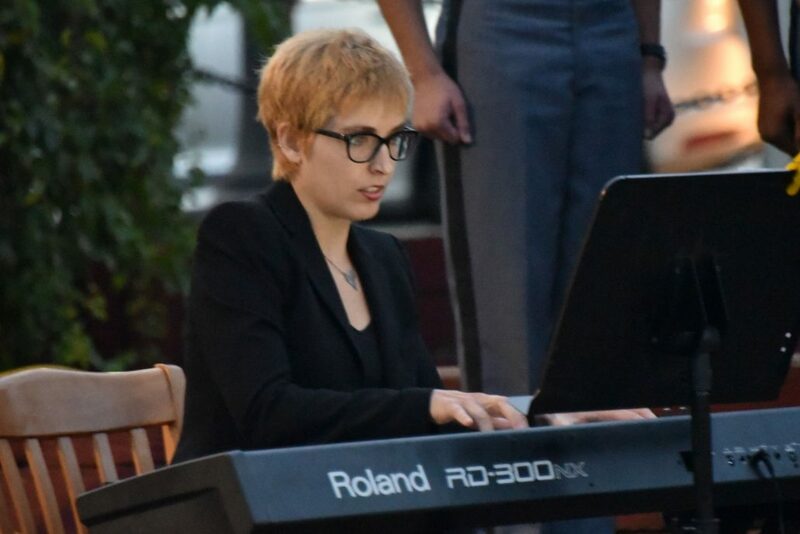 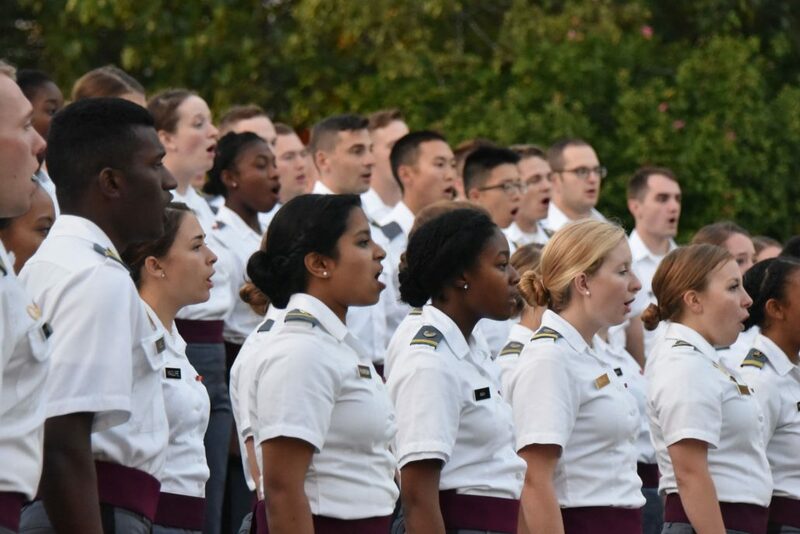 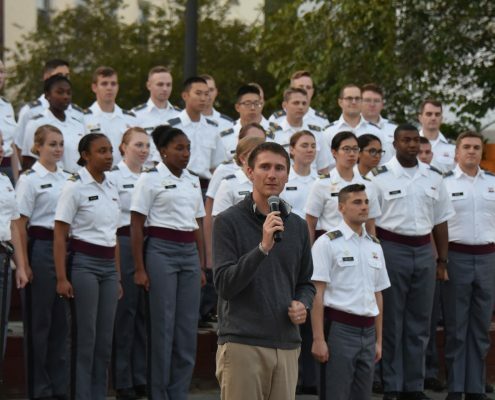 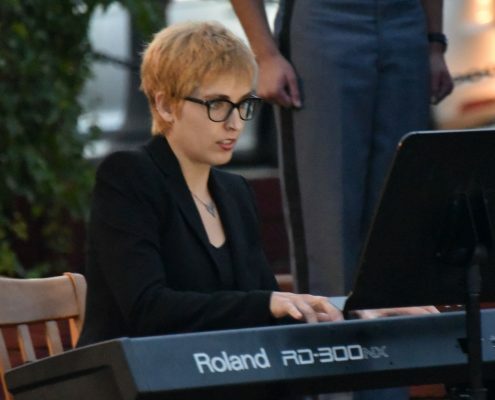 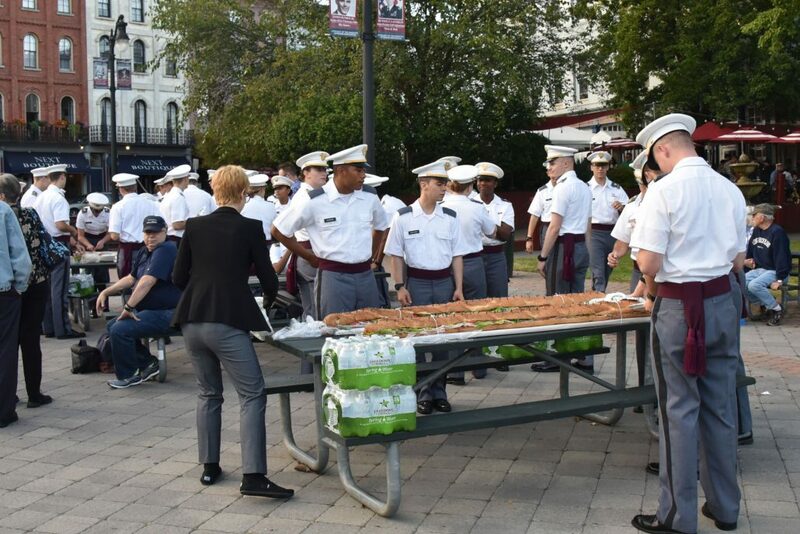 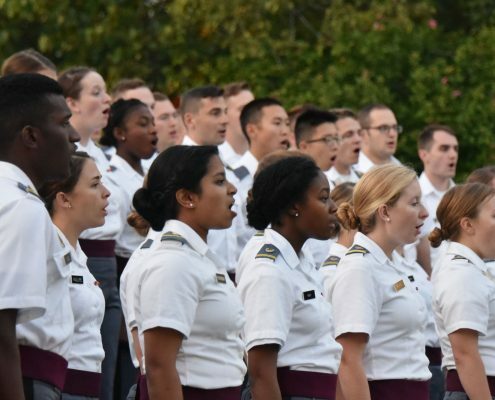 Last Saturday night the City of Kingston was the benefactor of a benefit of a bit of serendipity when the West Point Glee Club was able to give an impromptu performance at the Kingston Rondout Waterfront’s T.R. 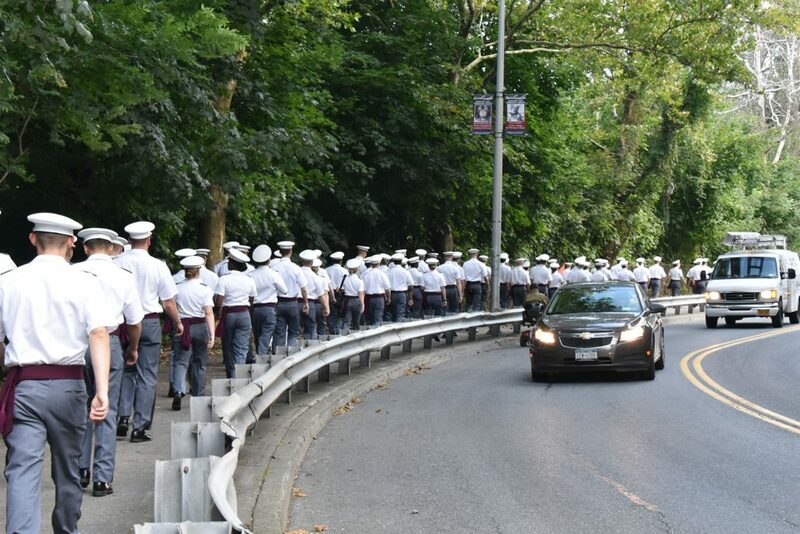 Gallo Park. 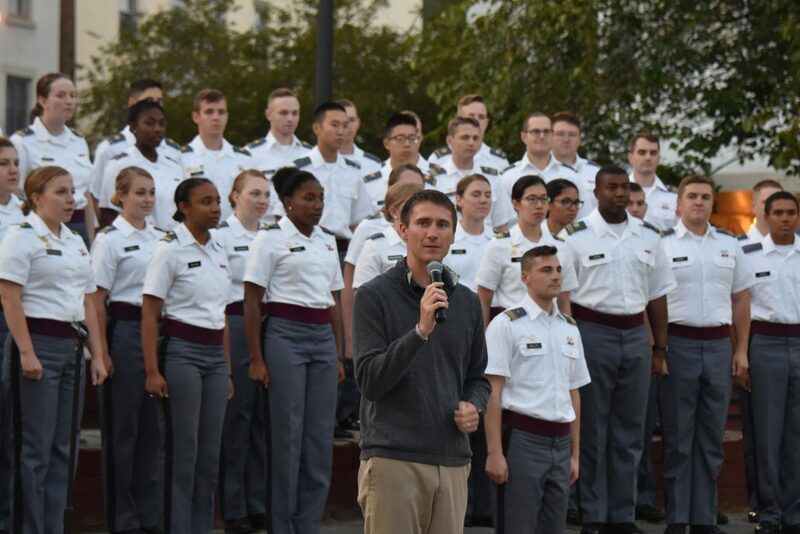 Even though the event was publicized on very short notice, there was a crowd of 200-300 who were thrilled to see a group of young, energetic performers in uniform performing numbers ranging from “Anchors Aweigh” to “My Shot” from the Broadway musical Hamilton. 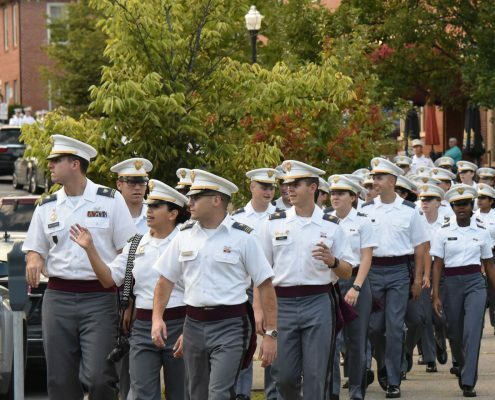 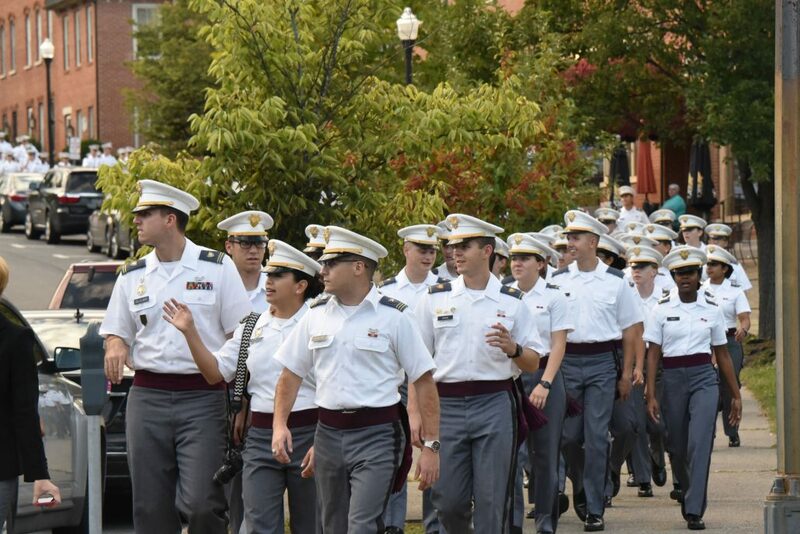 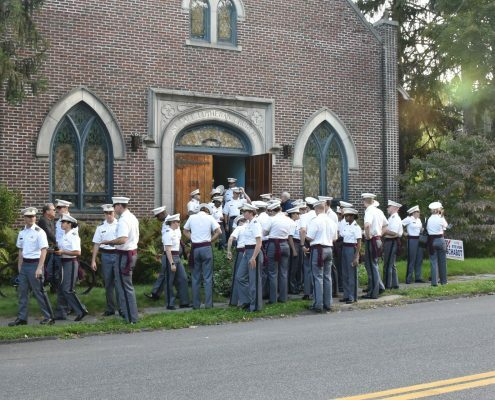 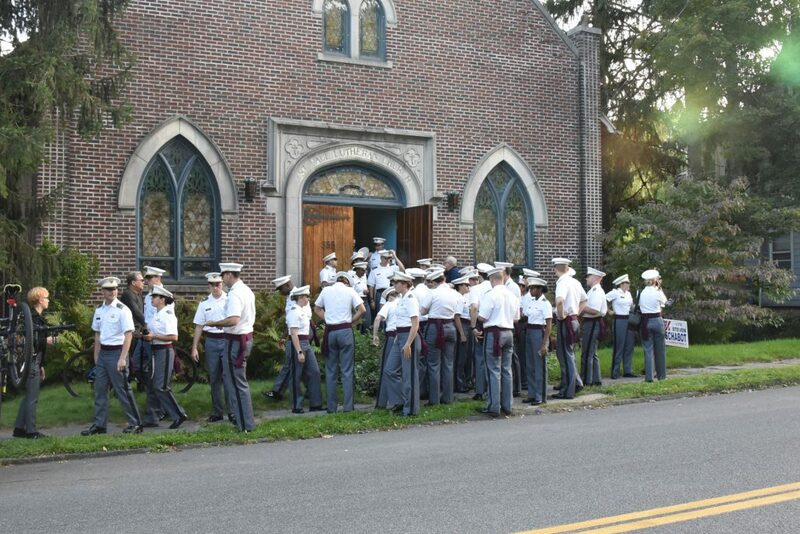 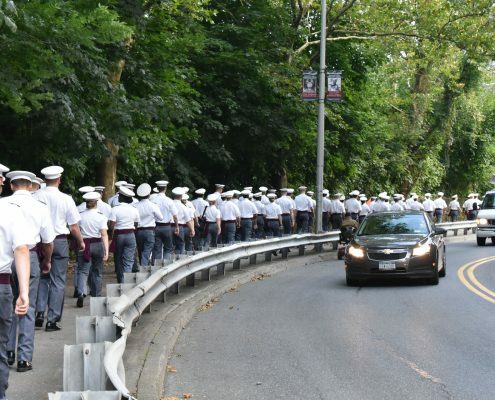 Even people that weren’t able to attend the performance were treated to seeing the parade of cadets trek from where they were practicing on Hasbrouck Ave. down Broadway to the park where they performed. 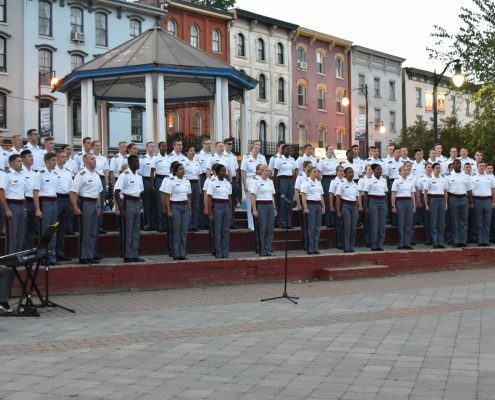 The West Point Glee Club is performing at T.R.Gallo Park. 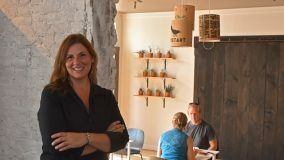 Doers and Dreamers – Josie Eriole Art Walk Kingston – Kingston’s Artists Show Off Again!